I know I say this all the time, but I sure had great fun making this card. This time I am using two Doodle Pantry sets. The new set is Heart on Fire and the older set is Love Birdies. The heart, designer paper and sentiment are from the Heart on Fire set and the birdies are from the Love Birdies set. For the birdies, I removed them from the bird house they were in to use for this card. I printed the PRECOLORED version of both the birdies and the heart, and then used Copic markers to color them a little more (Y21, Y23, Y26, YR12, YR14, YR18, R14, R29). I did not touch the beaks on either birdie or the cheeks on the yellow birdie. After adding red and other colors to the flames, I went over the black outlines with a Sakura gold gelly roll pen. I brought the heart into my Silhouette Cameo and did a trace and then cut the heart out in order to pop it up on top of the printed image to add dimension. I printed the sentiment and then used my Stampin' Up! heart punch to punch it out. I distressed it with pumpkin pie and real red ink. The card base is pumpkin pie card stock from Stampin' Up! I then added black goosebump crystals from Queen & Co.
You still have time to receive the Heart on Fire set for free just by entering Challenge 42 on the Doodle Pantry Blog. In order to receive this set for free, you must use a Doodle Pantry image on your project. If you don't use a Doodle Pantry image, you are still eligible for the $15 gift certificate. Super cute. Love the merging of images. Great crisp design, too. Love this card, it's so cute and love that flaming heart with the love birds in the center. Nicely done! This is adorable! The birds look really cozy in their nest! Love the image and your monochromatic color scheme! Those little love birds are just as sweet as could be, and SO beautifully colored in orange tones. Great job, and thanks so much for sharing this in our challenge this week. It's so nice to have you join us! Totally reminds me of the hunger games!! Super cute card! Thanks for joining us this week at Creative Fingers! You did a wonderful job on your card. Thanks so much for joining us at Twisted Thursday. AH! sooo cute that flaming heart. love it. a Valentine to share. Love this and how you enhanced a colored image. Also beefing up the black is great. Hi Susan, It's been a while since I got round to visit, so apologies. Saw your card over at Jo's Friday Fun Day and thanks for joining us. Love, Love this image, and that you shaded the precolored image with more coloring. Great job, and it is just super with the background papers. I'll have to check out this Doodle Pantry. Not sure if I have any of their images. TFS & hugs. WHat a cheery combination of colors and images, Susan. 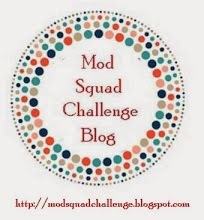 Thanks for linking up with us at the SIster Act Challenge Blog. Susan, this is gorgeous. Don't you just love playing with the images and the Cameo. So much fun thinking of new things to do. Love the pop of dimension and the birdies are perfection, thanks for the inspiration. What an adorable image! I like the color combo and design of this. Thank you for joining us at DRS Designs this week. Hi, Susan: Your Valentine Card is wonderful--especially your digi. Glad you entered the Simply Create Too "Valentine's Day or Hearts" Challenge #53. Remember, you can enter 3 of your pretty creations in this challenge. This is such a cute image. Love how you colored them with non-traditional "Love" related colors. Fab job! So glad you linked up with us at Word Art Wednesday this week. We are so blessed with your creativity. Love to encourage you with God's Word in 1 John 3:1 which says, "How great is the love the Father has lavished on us, that we should be called children of God." Have an awesome week. Such a sweet card. Love the orange. Very sweet card and love the non-traditional valentine colors!!! Thanks for joining us at Fussy and Fancy!! Ahh, I love how you went with non-traditional V-day colors, Susan. I'm loving the monochromatic color scheme and the super adorable chicks! Thanks so much for joining us at STAMPlorations! LOVE, love, love this! I am in love with Laurie's birdies and those love birdies are so sweet. They are a perfect match with this beautiful heart frame! Gorgeous creation and the way you made the colours come to life is fabulous! A very creative and wonderful showcasing of the flaming heart. Great job on the merging of the images!